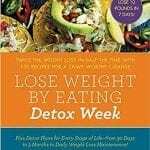 My name is , weight loss blog and cookbook author, and I would like to share my remarkable weight loss story with you. I started with a simple toast with almond butter and bananas for breakfast to now a bowl of chic slow cooked steel cut oatmeal with nuts and fruits soaked in almond butter. I taught myself to cook and with that healthy eating and how to lose weight. 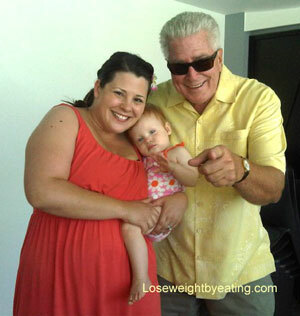 Audrey meeting her idol Huell Howser – May 2011. I had been struggling to lose weight eating frozen “diet” meals and diet sodas all day every day, eating under 1000 calories all along starving and gaining weight. Now I was eating real food every day and drinking lots of water. My calorie count went up to 1200-1400. I was more fit than ever, and the weight flew off and has stayed off. Many people ask me about my workout regimen. As I am a firm believer that we all need to move our bodies as much as we can, I was not an avid gym visitor during my weight loss journey. I have a rare nerve disease that has limited my ability to exercise. Many people are particularly interested about this one factor. So many of my friends asked about my fast weight loss that I finally started my WeightLossTopSecret weight loss blog on New Years Day 2012 to answer their questions. I hope to give back to people out there like me who have been searching for the right weight loss information. A diet that leaves you feeling deprived is not a diet you want to be a part of because feeling deprived for the rest of your life is not a reasonable way to eat. I started by sharing my recipes, and in following years it evolved into one of the top weight loss blogs on the Internet within 2 years! 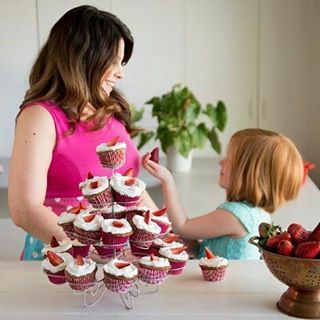 Making cupcakes from my cookbook with my daughter Sophia. 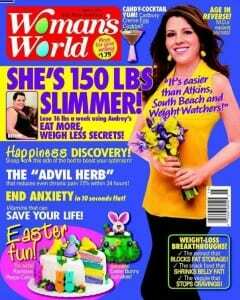 Now, I have created the WeightLossTopSecret Cookbook, have made numerous media appearances including the Rachael Ray Show, and have helped literally thousands of people lose weight all over the world. Audrey again shares her tips and recipes from her new WeightLossTopSecret cookbook on the Rachael Ray Show with guest Bob Harper! Audrey shares her Skinny Sloppy Joe’s recipe from her new WeightLossTopSecret cookbook. 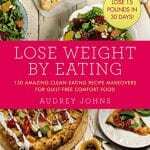 Audrey shares her tips and recipes from her new WeightLossTopSecret cookbook on the Rachael Ray Show with guest Bob Harper! 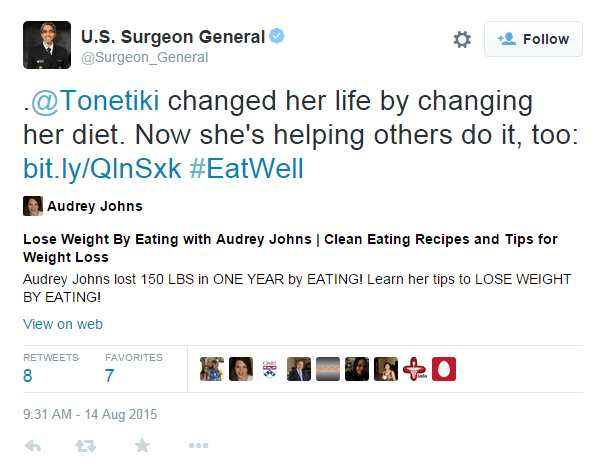 Audrey’s remarkable weight loss story was recently featured on CBN’s The 700 Club. You can watch the full segment from the April 19, 2016 episode below. 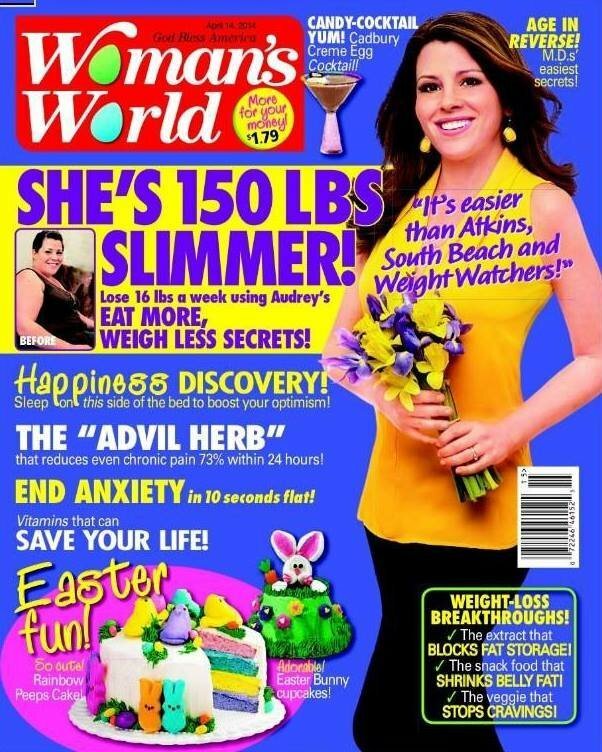 Audrey’s remarkable weight loss story was featured on the CBS television Show “The Doctors“. She was surprised with a free trip to Belize! Audrey competed on season two of ABC’s “The Taste” starring Nigella Lawson, Anthony Bourdain, Marcus Samuelsson, and Ludo Lefebvre. The two-hour season premiere was on January 2nd, 2014 at 8 PM. Check out my Recipes and my Weight Loss Tips and be sure to “follow” my blog for great recipes and weight loss tips.